2) Create a new file 450×450/with a white background. Before we go on to step 3 we need to set up our grid at 25px/set it to view, and snap to. 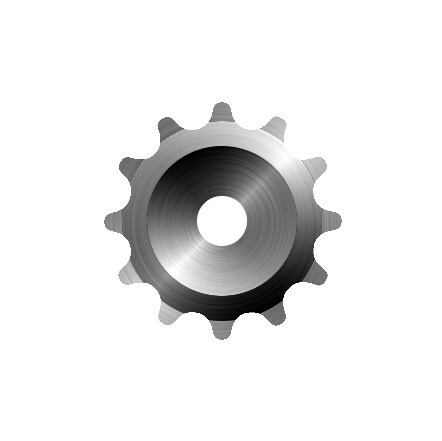 3) Make a new transparent layer call it gear teeth. 4) Make a fixed rectangular selection 250 (height) x 30 (width). 5) center the selection horizontally and vertically in the image.Fill it with black. 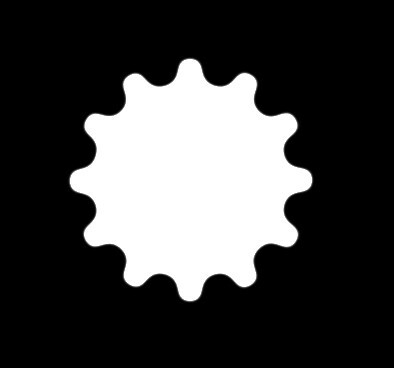 7) Copy the gear teeth layer 5 times. 13) Make a new transparent layer name it gear center. 14) Create a circle fixed 200×200 snap it to center and fill with black. Edit/copy visible and paste as layer.Name the new layer Gear. background, and that’s just what we need for the next step. 17) Select the Gear layer go to Filters/blur/Gaussian blur, and blur at 25. 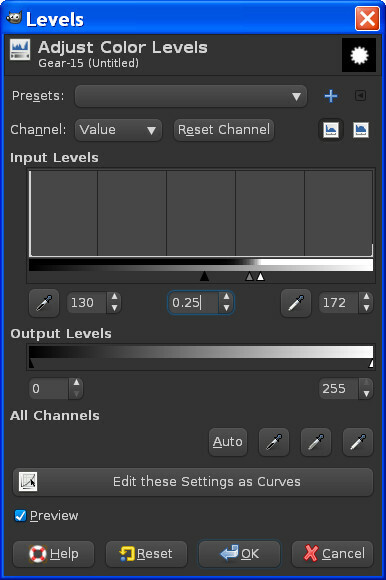 18) Select the Gear layer again and go to colors/levels, and put in these settings for output. If all is well it should look like this now. 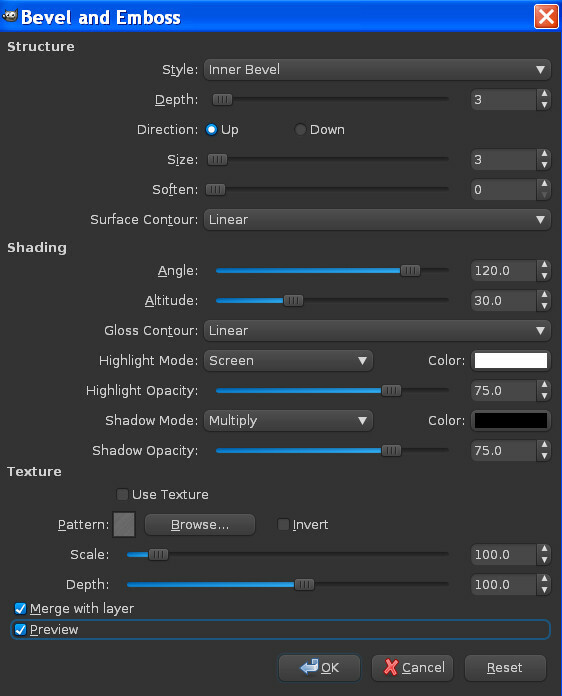 19) Turn off (make invisible) all the layers except Background layer and the top Gear layer. 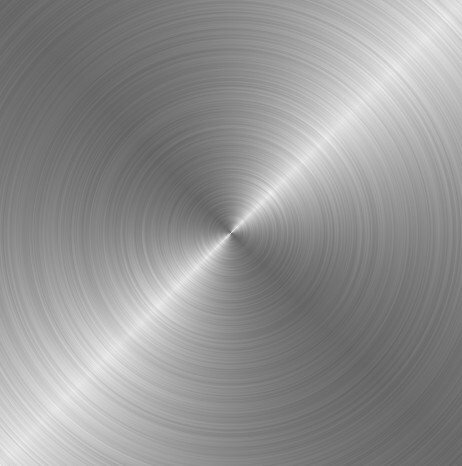 21) download my brushed steel pattern or create your own with dif clouds and noise and radial blur. Trust me its easier to use the one i already have done…lol. 22) Open the pattern as an image go to select all/copy – open your gear xcf and edit/paste as new layer. Make sure its now the top layer.Name it textured steel. 25) Make a new layer name it outer rim.Create a circle selection fixed 200×200 and snap it to center. 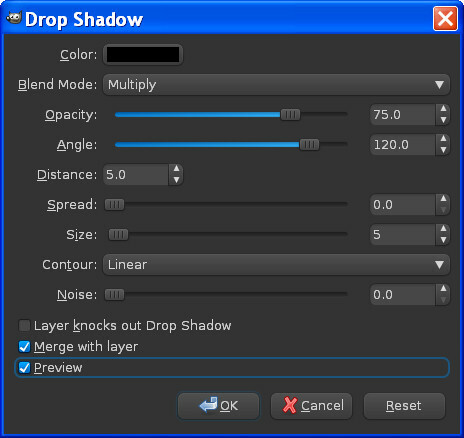 26) Keep it selected and select your gradients tool and make sure its set to foreground to background. White (FG) and Black (BG) as colors.Make a gradient from top to bottom of the circle selection. same gradient but this time bottom to top.Select/none. 28) Make a new circle fixed 50×50, select the inner rim layer. center and hit delete, select outer rim layer hit delete, select textured steel layer hit delete.Select/none. 29) Make the inner, outer rim and textured steel layers invisible. 30) Now select the Gear layer, select fuzzy select tool and click on the black color.Select/grow by 4 px. Select the textured steel layer (make it viable) and hit delete on your keyboard.Select/none. 31) Make the Gear layer invisible.Select the inner rim layer and merge it down with outer rim layer. invert /hit your delete key on your keyboard.Select/none. textured steel layer rename the layer Gear main Go to view/show grid, and turn off the grid. 33) If all is well still it should look like this. 27) Now we can add some other effects like textures and a bevel to our gear, or it looks pretty good like it is. We can however make it better. 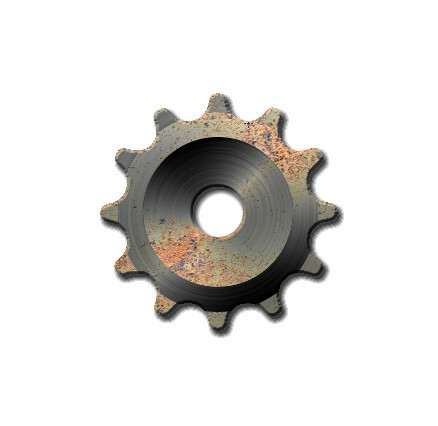 open gear.xcf and edit/paste as new layer.Center that layer of rust where you want it. 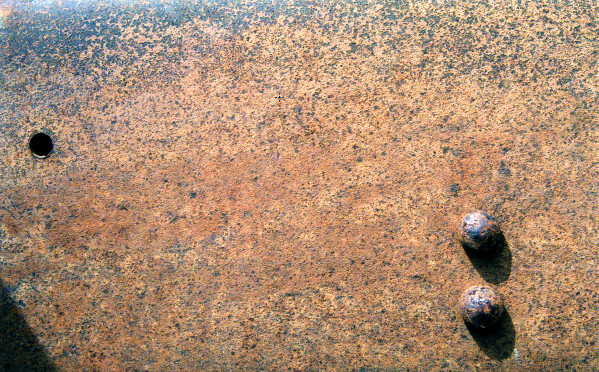 Select our top rust layer, select/invert/hit the delete key on your keyboard. Now select the Gear main layer and add yourself a drop shadow of your liking. You skipped the biggest step: Before copying and rotating the teeth, how do you make them the right shape and angle? Trial and error?